Our Candy Buyback was a huge success, collecting over 165 pounds of candy. Thank you to everyone who participated and we look forward to next year! This Halloween, trick-or-treaters can bring in their excess candy to Parrish Children’s Dentistry and receive $1 per pound of unopened Halloween candy and at the same time brighten the day of US troops around the world. The fun of Halloween is dressing up and trick-or-treating. Candy is a nice treat in moderation, but most kids end up with way too much candy on Halloween, and we have a great cause that could benefit from the extra candy that children really don’t need. After we collect the candy from local children it is shipped to Operation Gratitude in Van Nuys, CA where it is then sent in care packages to deployed troops. The packages provide a reminder of our thankfulness for the troops and the candy is often shared with needy children in deployment areas also. Candy will be collected at Parrish Children’s Dentistry, 8312 US Hwy 301 N, Parrish, FL, time and date soon to be announced. 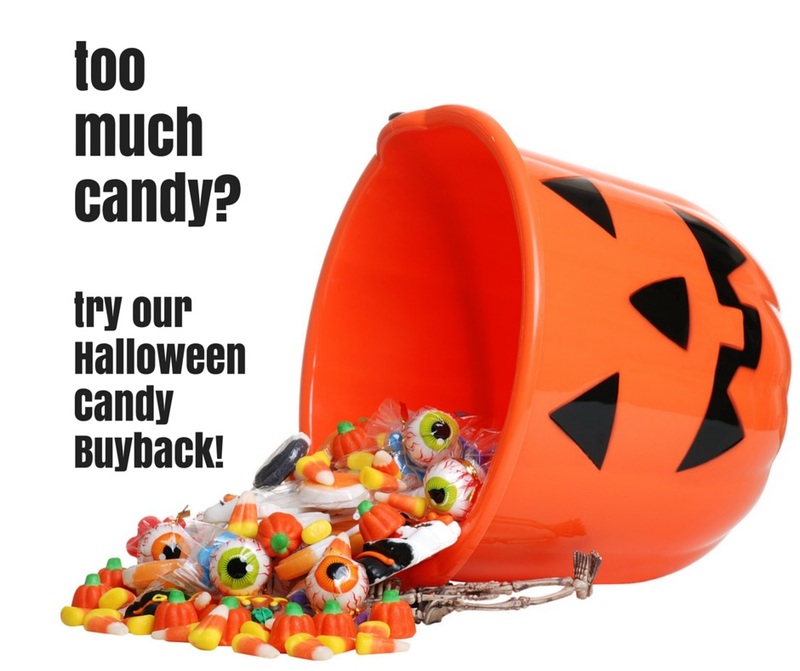 Each child is eligible to receive $1 per pound for all unopened, uneaten candy. There will also be giveaways, raffles and much more! Dr. Patricia Schnur is a general dentist, licensed to see patients of all ages. She has chosen to see only children 18 and under. If your child is in need of a pediatric dental specialist due to special needs or behavioral issues she can assist you in finding the right specialist.